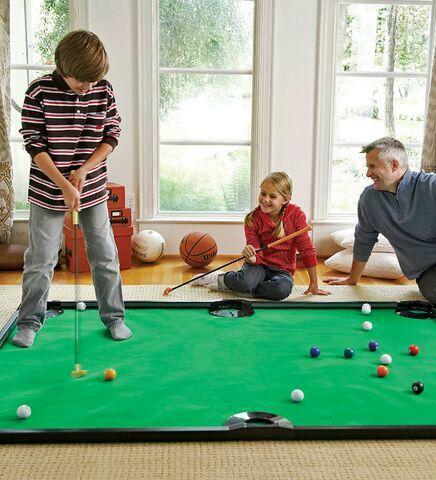 Get the whole family in on the fun of this great game that combines the challenge of golf with the game of pool. Game scores like pool. It's a great way to help kids build hand-eye coordination, strategy and family memories. Kit includes: the green mat, carbon fiber golf clubs, 16 golf balls and rails. Dimensions: L: 78" x W: 57"